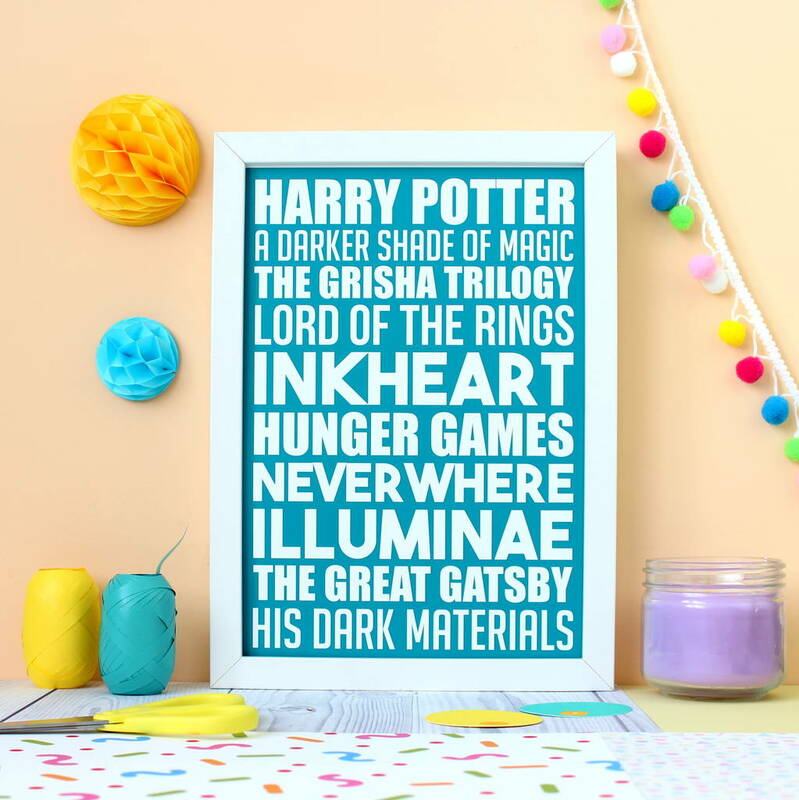 This unique art print is the ideal accessory for the home of any book lover. 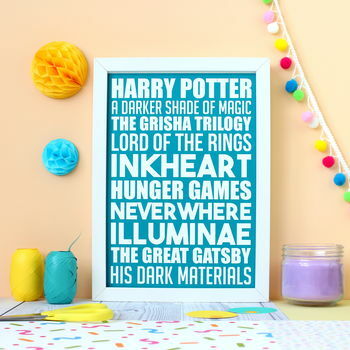 The print can be personalised to your taste in literature and looks stunning hanging on the wall of your home. The print comprises of 10 of your chosen favourite books and/or authors, and can be printed onto a background colour of your choice. Simply use the drop-down menu to the right to choose your preferred colour from the options available. 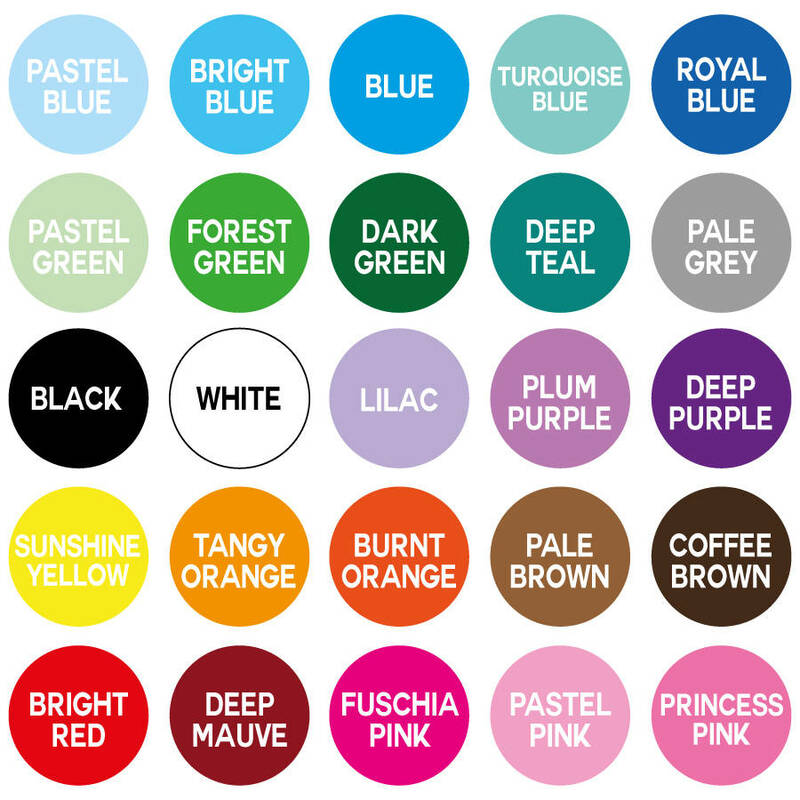 Please see the graphic in the photo's above for examples of each colour. You can choose between having the print in three different sizes, simply use the menu to the right to choose between Small (A5), Medium (A4) and Large (A3). Large - A3 (29.7cm by 42cm). This product is dispatched to you by Fable & Black.